At the heart of our work is the protection of the nests of three species of sea turtle (Olive Ridley, Leatherback and Black). Tasks include the patrolling of a 30km stretch of beach, collecting eggs from natural nests and returning to incubate them in our protected area. This work is essential as poachers also patrol this beach and any nests that we do not rescue are unlikely to survive. 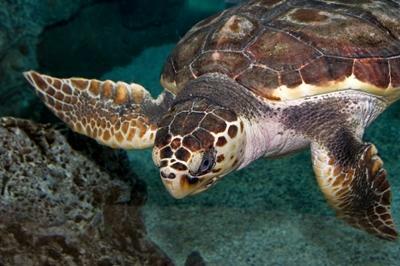 We also collect very useful information regarding the population, ecology and biology of the turtles. Working with turtles takes place mainly during two night shifts, one from 10:00pm to 3:00am and the other from 3:00am to 8:00am. This depends largely on hours of daylight and changing turtle activity. 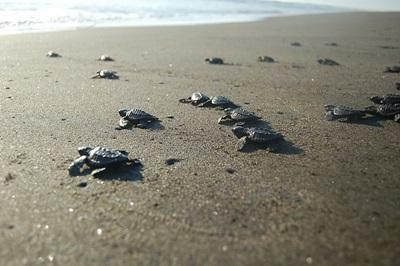 From January to May there are fewer turtles nesting each night. This allows us to concentrate more on the other activities such as extending the new corral (the protected area in which collected eggs are reburied). Volunteers usually work in pairs on a rota system so that everyone gets a chance to experience the full range of work. Activities include beach patrols using our quad bikes, monitoring the corral and releasing turtle hatchlings. La Colorada Crocodile Centre is situated on the shores of La Colorada Lagoon. This is connected to the Alcuzahue Lagoon, 25km from our main base. 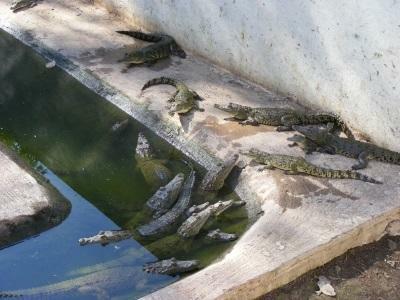 La Colorada Crocodile Centre was created in 1985 by the Government of the State of Colima and the State SEMARNAT office. The management of the project was given to the local association of fishermen in the area (Laguna Alcuzahue). However, due a lack of funding the project was abandoned. There is now a new focus on conservation and a re-introduction of the crocodiles into the nearby areas. The Crocodile Centre is home to the two species of crocodiles that can be found in the area: the Morolet's Crocodile (Crocodrylus Moreletti) and the American Crocodile (Crocodylus Acutus). Located just five minutes' walk from our main headquarters is the "El Chupadero" lagoon. We started work here in 2006, conducting a very interesting biodiversity study that we hoped would allow us to demonstrate the importance of this area to wildlife with the initial aim of getting the area declared a protected reserve. Having been given the task by the SEMARNAT federal office in the State of Colima, our main intentions were to give enough proof of the existence of endangered species of birds, mammals and reptiles in the lagoon to result in a declaration of the place as a Natural Reserve Area. The lagoon is about 40km2 and we were confident of finding many species of rare animals. Following several years of data collection by the volunteers the area was declared a Ramsar site in March 2009. A Ramsar site is awarded by the Ramsar Convention or the Convention on Wetlands who recognize wetlands as ecosystems that are extremely important for biodiversity conservation and for the well-being of human communities. This is one of the most important titles a protected area can receive and it is testament to the hard work and effort put into this aspect of the conservation project. 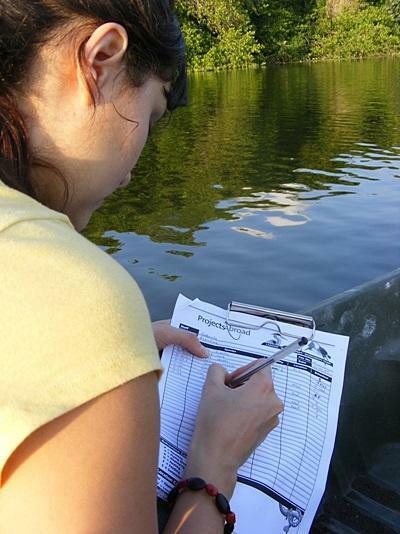 We are now focusing on more detailed studies in conjunction with local biologists and zoologists that will provide more specific information on species behaviour and seasonal species. Volunteers are armed with binoculars and collection files when we go out in our small boat onto the Lagoon. We have designated routes to cover the area in a methodical way and the more we advance the more interesting the study becomes. There is a lack of conservation awareness and education in the area and the habitat is under threat from agriculture. There is also pollution in the area and the animals are seen as food or shot as sport. They are then sold in the international and national exotic species trade. There is rarely sufficient funding from the Government to provide the resources to conduct research and protect the area. The deforestation of mangrove trees in the area is also a worrying trend. We hope that now the area is protected area that we can start to improve the situation. Species that we have recorded in the area include a great variety of tropical birds such as the Tropical Kingbird, Great Kiskadee, Belted Kingfisher, Yellow-crowned night-heron, Green heron, White Ibis and the Roseate Spoonbill. There are also reptiles like Green and Black Iguanas, Crocodiles and Boa and river snakes. There are also many small mammals and birds of prey like the Black and Grey hawks and with our on-going research we are sure that we will discover many more species.